The Money Summit & Wealth Expo 2014 is set to introduce a new format this year: combining four conferences and two expos in an event. 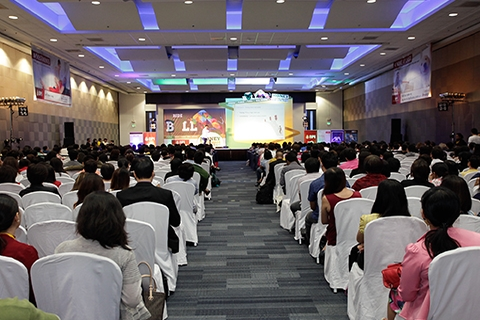 The summit aims to remain as the market leader when it comes to investment conferences in the country. 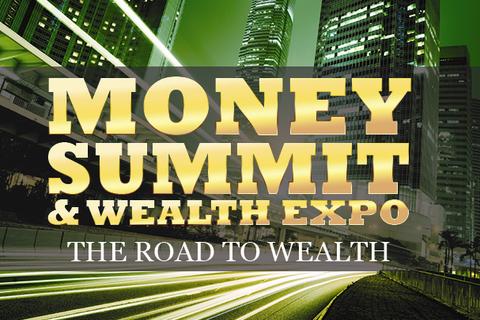 <>The Money Summit & Wealth Expo 2014, the country’s No. 1 conference and expo on investing and trading, launches today with an exciting new format, with four co-located conferences and two expos. The two-day trade show is happening on July 4-5, 2014 at the SMX Convention Center, Mall of Asia Complex, Pasay City. Now on its 7th run, Money Summit is the pioneer and market leader in investment conferences in the Philippines. Started in 2010, with runs in Manila and Cebu, Money Summit is designed to educate and empower self-directed individual investors through access to investment experts and a market showcase of financial instruments and real estate projects. Around 7,000 participants have attended Money Summit & Wealth Expo for the last four years. The event features the Money Summit conference on Day 1, targeting 1,000 highly qualified and motivated investors, with several topics on investing and trading in the financial and property markets, and three co-located conferences on Day 2 – Stock Market Investing Summit, Real Estate Investing Summit, and Forex Trading Summit. Confirmed speakers include market analyst and columnist John Mangun, emerging markets specialist Paris Murray, Traders Apprentice Pilipinas founder and investment banker Tony Herbosa, investment planner Ricky So, High Heeled Traders author Charmel delos Santos, stock broker and columnist Den Somera, Chartered Market Technician (CMT) Ron Acoba, foreclosure investing guru Noli Alleje, rent-to-own investor Eden Dayrit, The 9 to 5 Millionaire author Leila Hernandez, Think Rich Pinoy author Larry Gamboa, business columnist and property investor Wilson Lee Flores, property developer Maves Angeles, and ANC On the Money co-host and financial planner Salve Duplito. There is also a simultaneous two-day expo, now incorporating Wealth Expo and Property Expo, with 50 exhibitors from the financial services and real estate sectors, aimed to attract 3,000 visitors. 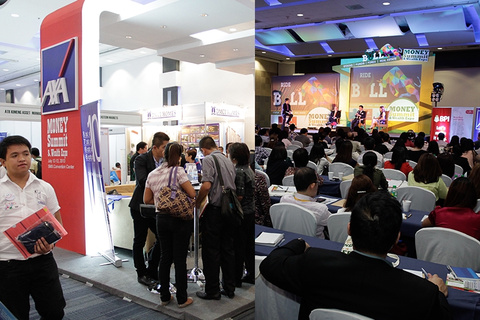 This year, Money Summit & Wealth Expo will occupy 2,350sqm of conference and exhibit space at the SMX Convention Center. Confirmed sponsors and exhibitors include BDO, FXCM, DMCI, Megaworld, AB Capital Securities, Unicapital, TarsierFX, Philequity, Metis Etrade, Paybux, Prulife, Metrobank Cards, Megaworld Binondo, Perfumo, among others. Money Summit & Wealth Expo is also supported by Entrepreneur Philippines, ANC, MoneySense, The Philippine Star, Philstar.com, OFW Usapang Piso, Angat Pilipinas Coalition, The Global Filipino Investors, Traders Apprentice Pilipinas, National Bookstore, PinoyInvestor, FinancialPlanPH, FinanceManila, ForeclosurePhilippines.com, ReadytobeRich.com, The Wise Living, and RFP Philippines. The regular registration fee for the two-day conference is P7,000+VAT but Entrepreneur magazine readers can get a P3,000 discount by entering the code ENTREPRENEUR during registration. For more information about registration and sponsorship, contact Learning Curve at tel. nos.696-6981 and 570-7506 or email info@iluvlearning.com . Visit the official website at www.money-summit.com.